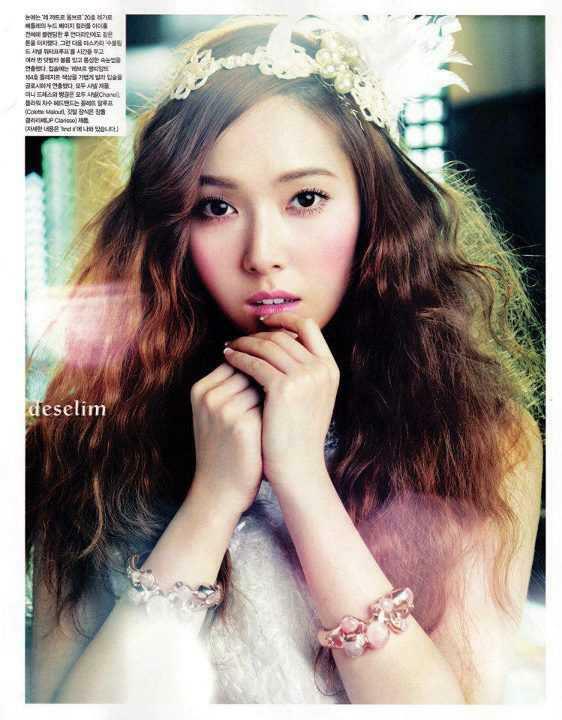 This month Vouge Korea features Jessica and Tiffany from SNSD in "Coco in Wonderland" with flawless makeup and the whole Chanle S/S 12 collection. Truly timeless and beautiful. The makeup stays close to the hottest trend of this season: Pastel. A flawless complexion with flushed cheeks, bubble-gum lipstick, very soft and defined brows. Complete the look with a sweep of black eyeliner and mascara. So pretty!